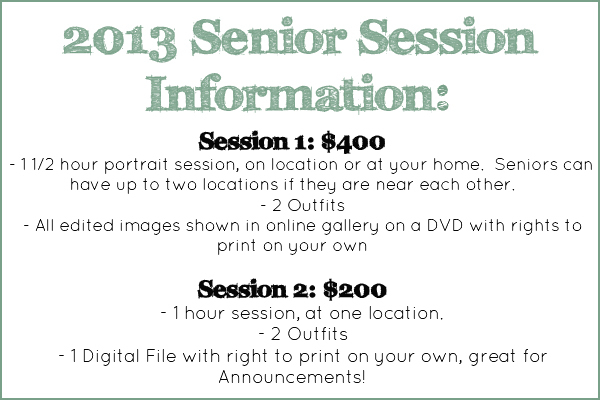 Now Booking 2013 Senior Sessions! Are you a High School Senior this year! CONGRATULATIONS! 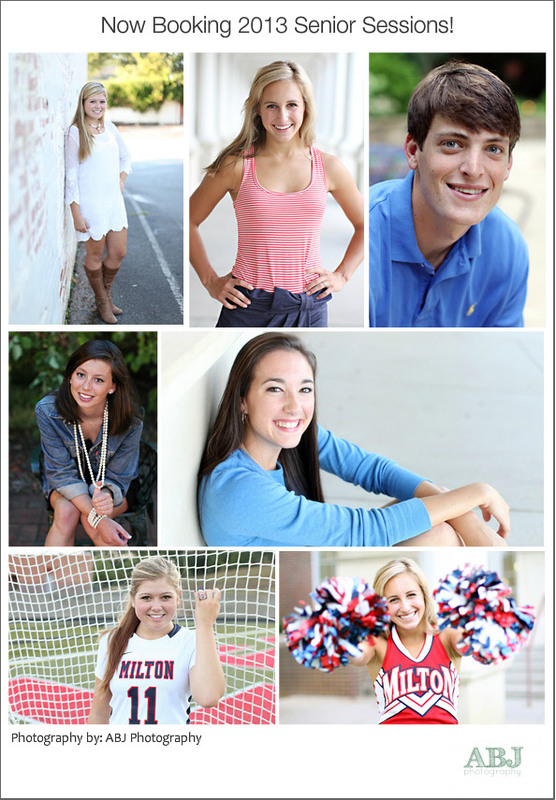 Make sure you book your portrait session before school starts again! This year we are offering NEW session fees and great promo deals! Be the first to book a senior session, get two of your friends to book a session, and YOU receive a FREE brag book filled with your new portraits! This is great for mom to carry around in her purse, and as a coffee table book! Email alana@abjphoto.com or click the EMAIL ME button at the top of your screen to book your session today! Want to share this deal with friends? Click one of the share buttons below this post for easy sharing! Thanks y’all, I cannot wait to plan YOUR senior portraits!